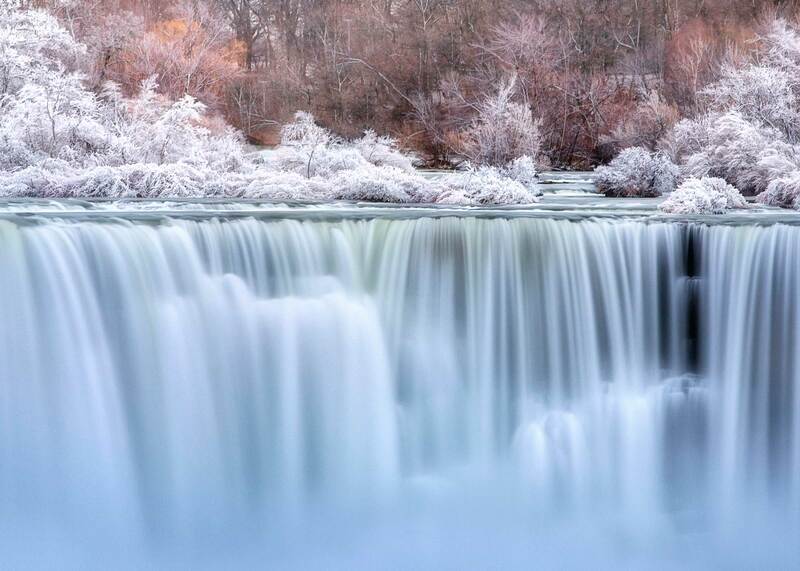 “Niagara Falls in winter is certainty a unique experience. Not only is its snow-covered landscape breathtaking, but the cooler weather also seems to keep the tourists away. Well, some at least. Now everybody has seen photos of Niagara and Horseshoe Falls. So after taking in the iconic views myself, I wanted to also capture something a bit different. Using a telephoto lens I was able to shoot across the water from Canada to New York state. But with snow pouring down and wind picking up, the trick was really to keep the camera stabilized through the long exposure. I must admit. While it’s not the most advanced piece of gear in my kit, a handy plastic zip-lock bag also proved invaluable. With a hole cut in one end, I was able to protect the camera while wiping ice from the lens between shots. You can find Jarrod’s honorable mention and more in the RRS 2013 Water Photo Contest Results page. I think it is absolutely breathtaking!!! Amazingly beautiful. How long was the exposure? L’image de mon tableau était en première position depuis 5 ans!